Dr. Francis S. Collins, director of the National Institutes of Health. PHILADELPHIA — After a 12-year slide in federal funding for basic medical research, there are encouraging signs that a rebound could be at hand, the director of the National Institutes of Health said Wednesday. Lawmakers from both parties now appear to agree that “we really need to get NIH back on track,” Francis S. Collins said in an interview at the Biotechnology International Organization’s annual convention. NIH, the world’s largest backer of biomedical research, stands to benefit from President Obama’s precision medicine initiative, which will give the agency and its affiliates about $200 million to sequence the genomes — the sets of genetic instructions that define a person — of about 1 million US volunteers. That will generate more insights into the drivers of cancer and other diseases, helping doctors to choose therapies most likely to work for individual patients. But the proposed 21st Century Cures Act, now moving through Congress, could have a greater impact by funneling $10 billion to the funding agency over the next five years, Collins said. That would enable the NIH to accelerate research into more personalized approaches to treating cancers and genetic disorders. 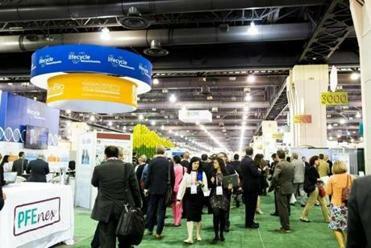 A large Massachusetts pavilion opened at this year’s Biotechnology Industry Organization convention, but Baker didn’t make the trip. Earlier, in a keynote address at the BIO convention, Collins said NIH scientists are “feeling quite stressed and beaten down” by the budgetary restraints in Washington at a time of rapid progress in science. 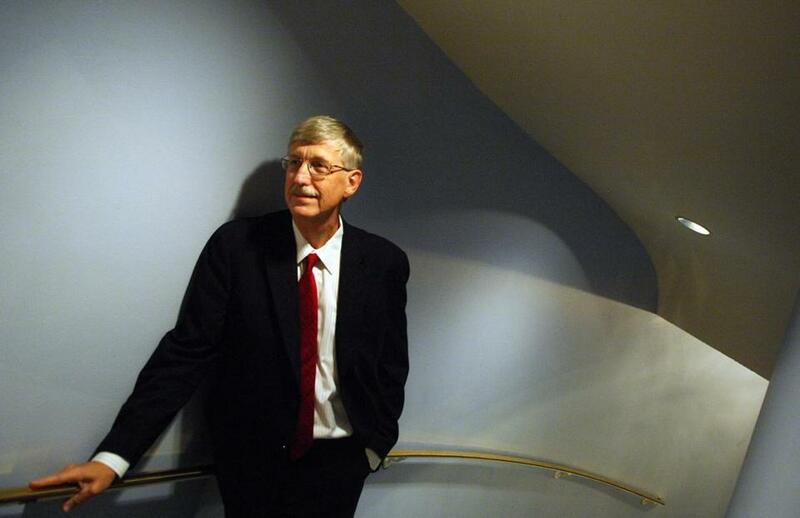 He called for “bold thinking” by government and private researchers to turn new discoveries into life-saving therapies. While he said that scientists are gaining a better understanding of the molecular basis of diseases, Collins cautioned that new therapies are lagging. More than 5,500 rare genetic disorders have been identified, but effective treatments have been developed for fewer than 500, he said. Collins cited as one success the discovery of the gene that causes the rare lung disease cystic fibrosis, which he helped to research in the 1980s as a scientist at the University of Michigan. Three decades later, the early findings of Collins and his collaborators have helped lead to cystic fibrosis medicines being brought to market by Boston-based Vertex Pharmaceuticals Inc.
An infusion of federal funds will “greatly enhance our ability to take precision medicine from a promise into a reality,” Collins said. More broadly, he said, the NIH wants to support research that changes the understanding of diseases such as depression and other brain disorders. In the future, doctors will be able to track not only symptoms but also brain activity, life experience, and behavioral processes, he said. In the interview, Collins said he was most concerned about inspiring the next generation of American scientists. He said only about one in six research projects can be funded now, a historic low, compared to an average of one in three or four in the past.